Dave & Sylvia’s Golden Wedding at Centrepoint Waterlooville. Customer feedback…..
Hi,just a quick email to say thanks to your band for a wonderful evening yesterday! Everyone really enjoyed the music and dancing and commented on how good Barbara was as a caller. Thanks again for getting everyone laughing and worn out! It was some people’s first barn dance and they won’t be forgetting it in a hurry! Thanks Emily for the email. 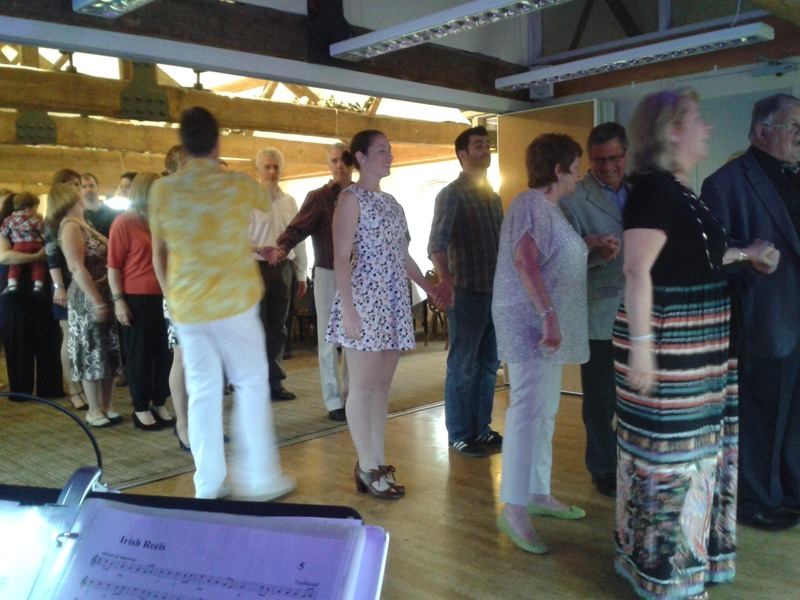 This was a barn dance social for Chichester Family Church with caller Barbara, and Lucy, Stephen and Luke in the band. An evening when we overcame one of our rare car breakdowns (only our 3rd since we started), and still managed to get to the gig and get going at the booked 7:30pm start time. Thanks to Mike for getting the backup vehicle to the breakdown and getting Luke back on the road while he waited for the breakdown lorry.